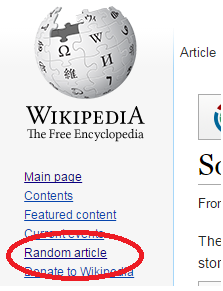 You know that Random Article button on the side of Wikipedia pages? I'll bet if you clicked it 6 hours each weekday (with breaks for recess, lunch, and holidays) for 12 years straight and read through whatever came up, you'd end up smarter and more well-rounded than most kids graduating from High School. And don't start about "all the errors in Wikipedia;" my teachers fed me all kinds of things that turned out to be bologna.